Click a heading to see more information. 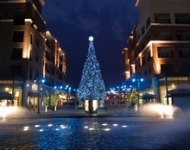 As a visitor you will see Christmas lights glowing in every direction, celebrities and stars filling the stages and shopping bags in everyone's hands. 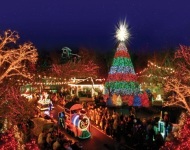 Branson is known for its live entertainment and there's no exception at Christmas time. 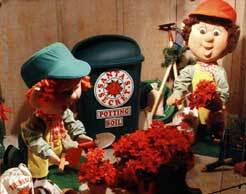 There are many shows completely dedicated to the holidays and nearly every theater incorporates Christmas music into at least half of the performance. You'll hear traditional Christmas music, carols and hymns, sounds from the past and sounds from today. 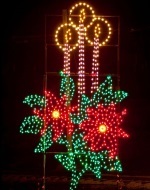 You'll see Christmas lights, decorated sets and displays, costumes and more. And, you'll feel the Spirit of Christmas everywhere you go. Don't miss the 5th Annual "Most Wonderful Time of Year Parade" dedicated to Mr. Christmas, Andy Williams - where Branson entertainers will gather together at Branson Landing for a beautiful holiday parade! 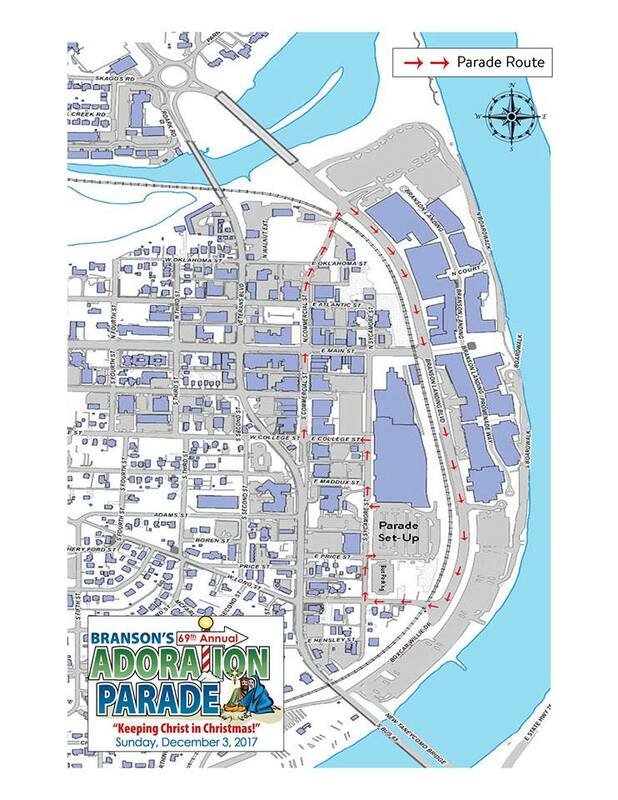 Following the parade will be a dozen live performances from the main stage in front of the Branson Landing fountains and a special grand finale you don't want to miss! Silver Dollar City's "An Old Time Christmas" is the perfect example of why there's no place like Branson for the holidays! The popular theme park is transformed into a glittering Christmas wonderland; adorned with over 6.5 million brilliant lights, it's a seasonal sight to behold for the entire family! A thousand trees are lined with lights, and everywhere you look, you'll discover both holiday cheer and reminders of the real reason for this glorious season. During "An Old Time Christmas," visitors can enjoy two Broadway-style theater productions, as well as delightful holiday meals or munchies, especially treats like hot wassail, hot apple dumplings with cinnamon ice cream, and tasty cappuccino. As long as Mother Nature cooperates, more than 30 thrilling rides and attractions will be open during this holiday season, and shopping is incredibly festive, especially at Jingle Bell Junction, where you'll discover 80 themed Christmas trees. And, speaking of Christmas trees, the showpiece of Silver Dollar City's holiday celebration is a 5-story special effects tree on the square; a brilliant attraction all by itself! This enormous Christmas tree features a synchronized light and music show at intervals throughout each evening; a captivating sight that's hard to resist...something returning visitors look forward to every year. And let's not forget the Holly Jolly Christmas Light Parade, featuring Rudolph the Red-Nosed Reindeer and Friends! "An Old Time Christmas" festival at Silver Dollar City brings to mind those wonderful celebrations from days gone by and surely sets the standard for honoring this holiest of holidays in just the right way.... Christmas is always Christmas in Branson! Join Santa, his Helpers, The North Pole Toy Soldier & the Holiday Sugar Plum Fairies for an adventure complete with kid's activities, entertainment, & breakfast. Prior to the Pancakes & PJs Cruise, follow your map throughout the Showboat as you search for the Sugar Plum Fairy Sweet Stops, visit the Captain in the Wheelhouse, and receive a special gift, stop by and see Santa's Helpers for face painting, and complete your Christmas Wish List and place it in the Toy Soldiers Mail Box for immediate delivery to the big man himself. Next, set sail on Table Rock Lake and enjoy a great breakfast that includes Story Time, Sing-A-Long, a festive stage show featuring music, dance, comedy and more!Don't forget to rock your favorite Christmas PJs. We encourage children to wear pajamas to this special occasion. Aside from the optional visit to the Top Deck Wheelhouse, this event takes place inside the Showboat Branson Belle. Winter weather is not a factor. Come early. Activity Stations open one hour prior to cruise time. Santa will be available for a photo on the Dock following the cruise. Zoo by Day; Lights by Night! During November and December, we are the same interactive zoo you love by day however we also become a sparkling winter wonderland by night! "Let There Be Lights" Drive Thru is open from 5:30 to 11:00 pm. Come explore Santaâ€™s Safari Village and drive your own car through our 2-mile drive thru lights display. With VIP admission you can also take a magical Santaâ€™s Safari tour through the Christmas lights from the comfort of our climate controlled tour bus to meet and feed animals in the Safari! We have the largest drive thru lights display in the Ozarks and a Living Nativity with real live animals to pet and feed. While you are here, be sure to come meet Santa and his herd of baby reindeer, available every night at 5:30! Professional photos available. And donâ€™t forget to check out the Stocking Stuffer Gift Shoppe filled with gifts for all ages! Want to really get the kids into the Christmas spirit on Black Friday...a wonderful way to make sure they behave during all the hustle and bustle of Black Friday bargain hunting? Bring them to see Santa Claus! You know, the real one...he'll be at his favorite place, outside the North Pole, that is; from 10 am until 3:00 pm. What's his favorite place? Branson Tourism Center, of course! And it's in the perfect location, the Branson Tourism Center/Phillips 66 Convenience Store building right at the entrance to the Branson Hills shopping district. Bring the kids in to sit on Santa's lap and receive a complimentary souvenir photo of your visit! 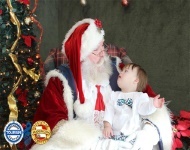 Friday, November 24 - it's Santa Claus at Branson Tourism Center...Merry Christmas! 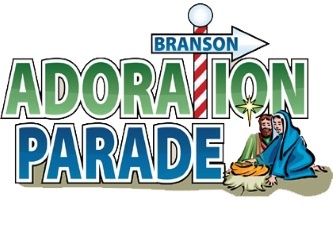 The Branson community gathers on this special day to set aside our individual aspirations and celebrate the true meaning of the Christmas season. It is our chance to stop and reflect on the beauty of the Christmas story that still inspires people today. On this special night, no one is in the limelight and no organization is promoted, only an overwhelming outpouring of community and celebration as we come together to honor the story of Christmas. 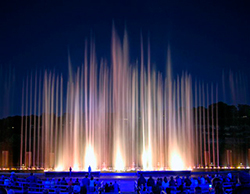 The evening starts with the annual lighting of the largest area nativity scene overlooking Lake Taneycomo at dusk, then The Adoration Parade starts in Downtown Historic Branson and ends by passing the Branson Landing. Christmas comes but once a year - join Chateau on the Lake for our Christmas Dinner Advanced reservations may be made by contacting our holiday line at 417-243-1711. Reservations are highly recommended. Branson celebrates the spirit of Christmas up until the end of the year. For those joining us for the week of Christmas, we've compiled a list of shows and attractions that will be open so your family may make even more memories together. 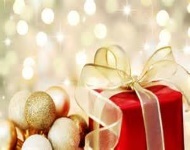 Christmas comes but once a year - join Chateau on the Lake for our traditional Christmas Brunch. On December 25th from 11:00 a.m. to 3:00 p.m. sample sumptuous breakfast items, salads, fruits, cheeses, shellfish, entrees, side dishes, carved meats and dessert! Advanced reservations may be made by contacting our holiday line at 417-243-1711. Reservations are highly recommended.